One thing that I continue to struggle with, even as an adult, is acne. It’s frustrating. I have to be super careful to almost never wear makeup, get the makeup off as soon as possible if I do wear it, wash my face with specific stuff, and so on. As a teen, my parents spent a fortune on all kinds of chemicals from a dermatologist to try to get my skin under control. It’s really not fun when the one thing that bugs you most is right on your face, for the whole world to see…. But, I finally found a system — a homemade, system, at that! — that really works to keep my skin mostly clear and smooth. Finally. A few days of this can reverse even a forgot-to-remove-makeup day, and if I make sure to use it regularly? It’s like there was never a problem. There are two parts to this system, so it’s really simple and easy. Part 1 can be mixed up with no special equipment in less than a minute. Part 2 is the actual “recipe” I’m sharing with you today, which is slightly more complicated, but also requires no special equipment. Both are crazy easy to use. Oil cleansing has become my go-to method washing my face. It seems silly, since my skin tends to be oily, but this honestly works. The castor oil in this blend helps to break up the dirt and “bad” oil without stripping the skin of all the “good” oil (which would then cause your skin to over-produce and create more problems). The apricot oil smooths red skin, fine lines, and nourishes your skin. Mix 1 oz. castor oil and 2 oz. apricot oil in a 4-oz. glass jar. Shake to combine. That’s it. Step 1: Use your fingers to spread a small amount of oil over your dry face. Step 2: Soak a wash cloth in hot water, and wring it out. Place it over your face so the steam will open your pores for about one minute. Step 3: Rinse the wash cloth and repeat step 2. Step 4: Rinse the wash cloth again, then get it wet with hot water, and use it to gently exfoliate your face. If you’re using a white cloth, you’ll often see the dirt coming out! Step 5: Rinse your wash cloth again in cold water, then gently pat your face with the cold wash cloth to close your pores. That’s it — it takes 3 – 4 minutes. The final step is to follow up with the acne salve below. You’ll only need a very light layer, so this will last a long time. This acne salve combines only four very simple ingredients: apricot oil (smooths fine lines and wrinkles and repairs damaged skin, helps fight acne), neroli oil (repairs damaged skin, balances oil, fights acne; it’s very concentrated), beeswax (to emulsify), and turmeric (reduces inflammation, redness, and heals existing acne). I love turmeric powder, and use it for so many things. It goes in my anti-everything pills, I take it in capsules by itself, I make tea out of fresh root, I add it to salves (obviously). It works for just about anything. I even cook with it! Turmeric is one of the top herbs I recommend having on hand because it is so versatile and safe for almost everyone. It’s very quick to put together, and very easy to use. In a small saucepan over very low heat, combine the apricot oil and beeswax. Once the beeswax is melted, add the neroli oil and turmeric root powder and swirl or stir gently to combine. After you wash your face with the oil cleansing method, spread a small amount of this salve over your face. A little goes a long way, truly! It does take a little while to absorb, so this is best done before bed. By the time you wake up, your skin will be beautifully soft and not oily. It takes only a few days of this routine to see a noticeable difference. My husband often comments on it, and reminds me to “do my face” should I forget! Using both parts of this routine is better than just oil cleansing, too. I find that if I skip the salve, my skin doesn’t heal as fast (if I currently have breakouts) and feels drier during the day, and sometimes itchy with it. 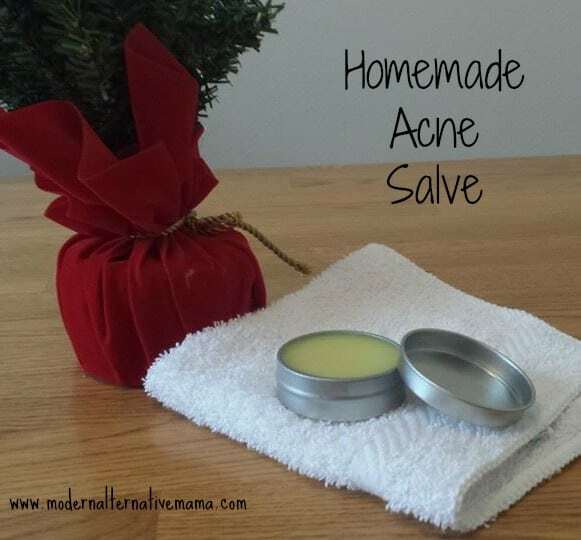 The salve takes care of the dry/itchy and helps heal faster. It really helps to reduce redness, too, and improves the overall look of the skin. Do you struggle with acne? How do you help it naturally? What brand of Apricot Oil would you recommend? Hi, I just made the salva and waiting for it to cool. Wondering about the color. It’s pretty dark. Does yours come out dark and does it turn your skin yellow from the turmeric? The use of Neroli oil surprises me – it’s one of the most expensive oils out there, and is $65 for an eighth of an ounce from Mountain Rose Herbs. Is there a reason you picked this particular essential oil for the recipe? 15 drops is almost $15! I’m sure you’ve got a good reason – just wondering what it is. Also – do you find the turmeric powder in the salve makes the salve stain things? Or is it diluted enough? I LOVE turmeric but always have issues with the staining when I make capsules and such. 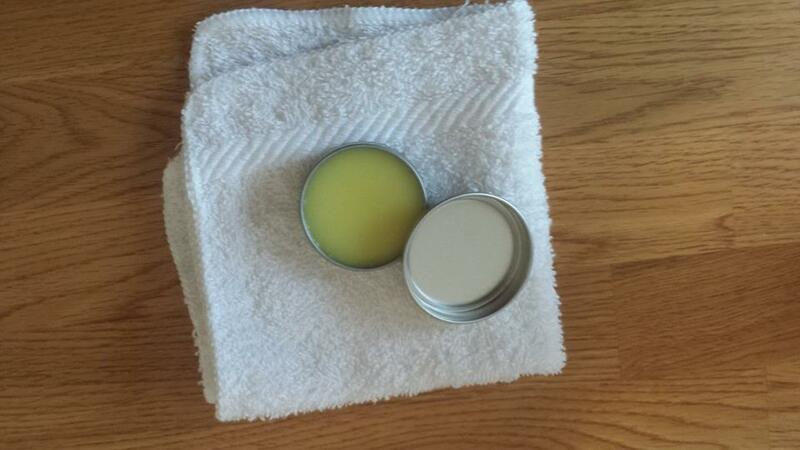 I made the salve and I used turmeric root powder from capsules because I couldn’t find it an another form. The salve turned out and orange color. When put on face it looks like a yellow green color and is like that till morning when I put it on at night. Is it supposed to be like that? hi kate … Do you have links to where you buy all your ingredients? Hi! I’m also wondering about the use of Neroli oil… I have some other essential oils that are supposed to be good for acne and healing the skin, would those be fine substitutes? Or do you highly recommend Neroli for a particular reason? I highly trust your recommendations, and my skin issues sound very similar to what you’ve dealt with… Thank you! I appreciate your time! Have you found this to be successful for teen acne? Can you recommend a substitute for the Neroli? It is expensive and I see others asking the same question. Thanks a bunch! Do you think that turmeric essential oil would work as well, and disburse better? I’ve seen a few comments here about the dark color and since turmeric is so staining I worry about it staining skin or clothes. Have you had any trouble with that? I’m super interested in this…would apricot oil also be called apricot kernel oil?